BEYOND BITCOIN: Cryptocurrency is just the beginning. The blockchain is poised to change everything. BILL FREAKING MURRAY: ‘Nuff said. Photo by Peter Rigaud. This week we talk about CMT—Children’s Musical Theater—the longest running theater organization in San Jose, which is entering its 50th anniversary season. The performing arts group has gone through some growing pains over the years, but the company is staying young at heart and continuing to produce top-notch shows. Also on the program—Bill Freaking Murray! We actually got the iconic actor on the horn for a brief conversation. We discussed his upcoming live show, “New Worlds,” and found out how to beat a hangover with the tried and true Murray Method. Listen up. You just might learn something. BRAINZ! 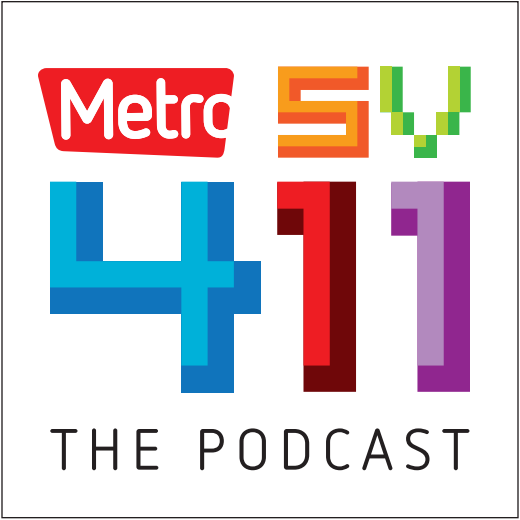 We talk brains on this week’s SV411 Podcast. This week on the SV411 Podcast, we talk about some fascinating new research coming out of Stanford that may help us learn more about the way our brains work and which points to a future where our minds are linked to computers. OLD COOL: Maurice Carrubba and his brother, Giuseppe, have reinvented Grandview Restaurant into a topflight venue and steakhouse. Photo by Greg Ramar. The old is new—and cool—again. On this week’s podcast we discuss the SV Dining issue. In particular, Maurice Carrubba and his brother, Giuseppe—who are perhaps the most successful restaurateurs much of the Bay Area has never heard of. This is because their specialty isn’t opening up trendy joints, but rather in taking old classics that have seemingly been around forever and reenergizing them.